"Hindi talaga ako papayag. Magbubuwis talaga ako ng dugo. Ipaglalaban ko talaga ang lugar na ito." Pol had been a cheerful, voluble man, inordinately fond of teasing his wife and playing pranks on his three children. He had tried out all sorts of odd jobs in his time -- from painting buildings to driving tricycles -- but continued to struggle because of debilitating bouts of asthma. He and his wife Trining had always dreamed of owning their own home and living someplace idyllic away from the capital, which remained congested and polluted, as always, except in the most privileged enclaves. The new neighbourhood was called Paradise Park Village -- 7.2 hectares of barren lands situated in Barangay San Vicente in San Pedro, Laguna. As more settlers had streamed in from other provinces, the land tenants -- who had originally planted root crops and banana trees, and occasionally tended cattle -- eventually found work in an adjacent piggery farm. By 1984, the entire property had been bought by Maximino Argana, who, it later turned out, had been a Marcos crony. Which explains why, in the heady aftermath of the EDSA revolution, the Presidential Commission on Good Government (PCGG) chose to sequester the entire area altogether. What is more difficult to understand is how -- and on what grounds -- Crown Asia (a Vista Land company, the 2/3 supermajority of which belongs to the family of Manny Villar) was able to acquire the properties in 2002, using a title under the name of a certain Jose Nuñez. From that point onwards, guards began to monitor the movements of the residents in a 2.18-hectare zone in particular (Lot 157), which housed around 205 families. Almost overnight, it would seem, a giant wall had been erected around this perimeter, preventing the tenants from repairing their homes or building new structures. 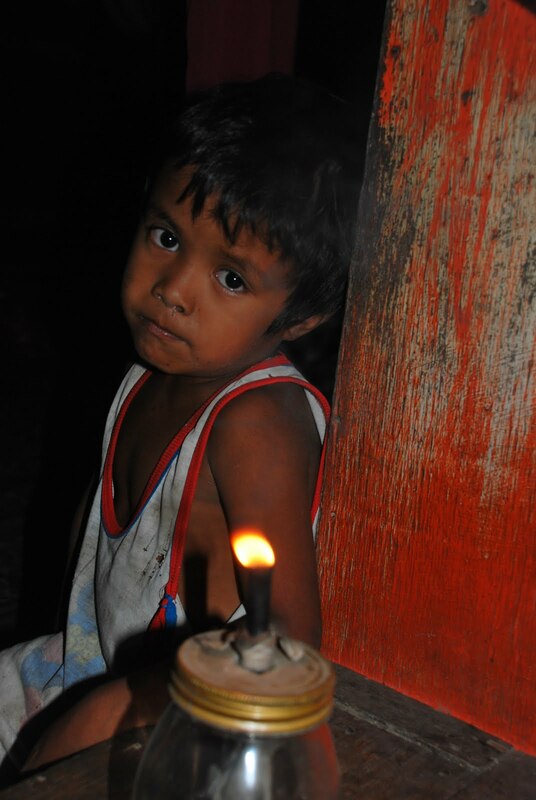 In the blink of an eye, they had suddenly been denied access to roads, which then made access to electricity and running water all the more scarce and difficult. Pol was resting (and Trining singing on her videoke) when the commotion began. She didn’t notice Pol picking up his itak and rushing outside. In an unblinking instant, Pol -- who had suddenly found himself at the centre of a swirling mêlée -- had been shot in the lung. A few hours later, he was dead. As for the actual whodunit, the police blotter, like the witness herself, identifies the shooters -- security guards working for the Banahaw Security Agency -- fairly clearly. Equally noteworthy: a memo from Crown Asia regarding the hiring of security guards for the specific area (Lot 157) where the shootings had taken place (another victim had also been shot during the same incident), which included a list of licensed firearms. The memo identifies the owner of the property as Jose Nuñez, etc, which is the name under which Crown Asia had originally claimed the title of the land. So how is it that, with all this evidence, there have been no prosecutions, even after 8 long years and repeated complaints to the authorities, both in Laguna and Manila? Why would Mayors Felicisimo Vierneza and Calixto Cataquiz of San Pedro have let the death of a human being under their respective jurisdictions go? What weighs so heavily upon Trining even now is what has since become of her children. Their father had always dreamed of going abroad: had he not allowed his barkada to influence him unduly in his last two years of high school, she mourns wistfully, that dream might not have died. Which is why all he ever wanted was for his children to study hard and finish school. So that one day, perhaps, they might have the privilege of becoming OFWs, and Pol could vicariously live his dream of a better life through them. Sadly, his children failed miserably in school after their father’s death, and ended up having to work to help make ends meet. Today, like his father before him, the eldest is a tricycle driver, and the cycle Pol had tried so hard to break continues to remain unbroken. The only other thing Pol ever wanted, besides the DVD player he never had the time to enjoy, was to one day see his own grandchildren grow. But that dream, too, would never be fulfilled: at 44, he had been severed from the flower of his youth in the most brazen and callous manner possible. And Pol was, of course, not alone in the indignities he had to face on a daily basis. His may have been one of the more striking examples of life in Paradise Park – an ironic name if there ever was one, you will agree – but there were many others. Because the colloquial term for the area inside the wall where they were all congregated – a ghetto of sorts -- was “tumpok" (i.e., clump), as in “nakatumpok na basura.” As if, in fact, these human beings had been unceremoniously dumped together in the most humiliating manner possible, like trash. Indeed, the term itself is both raw and visceral, subliminally evoking the notion of garbage. 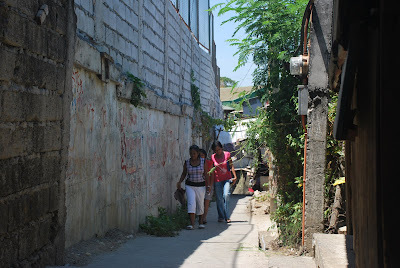 So that, to get into their own homes, they needed to walk for hours to pass through a narrow entrance in an otherwise impenetrable wall; and to find potable water, they had to resort to buying bottled water outside the ghetto walls. Always and throughout, there were the security guards on patrol, who reminded them who was in charge and who would one day lay claim to their land. But Trining and her children had no intention of ever leaving, because doing so would mean abandoning everything that Pol had lived and died for. That separation would be unspeakable. As Pol had once said: "Hindi talaga ako papayag. Magbubuwis talaga ako ng dugo. Ipaglalaban ko talaga ang lugar na ito." To this day, they remain determined to defend their land, the way an accidental hero had once taught them, almost a decade ago, at such terrible personal cost. 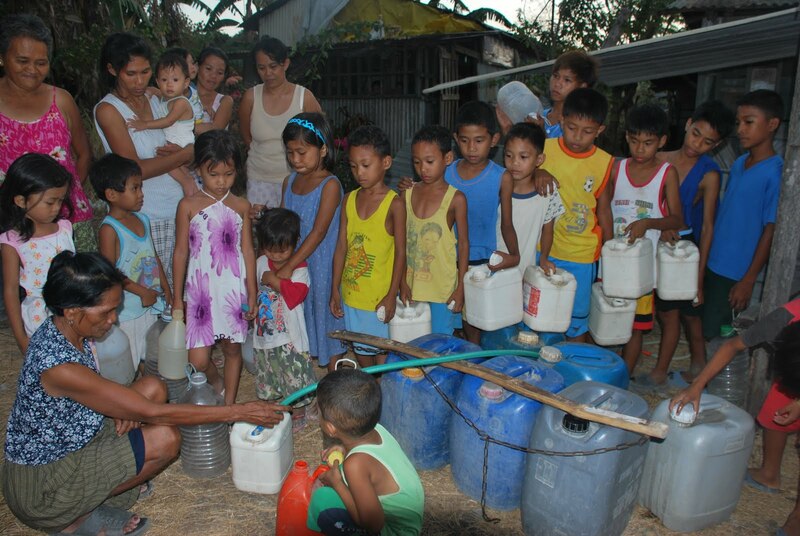 Elsewhere, Lito Banayo has written compellingly about the situation in Norzagaray, Bulacan. Nixon Kua's film also provides a useful backdrop. In fact, a number of protests against land-grabbing in the region have already been staged. Franklin Drilon has also broken the celebrated Savannah case in Oton and Pavia in Iloilo, where Villar has been accused of illegal land-conversion, while Boy Mejorada's short film powerfully captures its human face. But there are other stories, some of which are still being investigated. 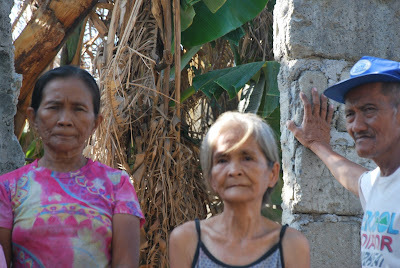 In Amore at Portofino (Daang Hari, Barangay Salawag, Dasmariñas, Cavite), a land tenant (whom we shall call Mr. V for his own protection; it suffices to say that he was highly respected in his line of work) had been in the process of paying for a deed of conveyance (the amount that needs to be paid to the government to establish full ownership of the land) as a farmer-beneficiary, which had been approved by the DENR. 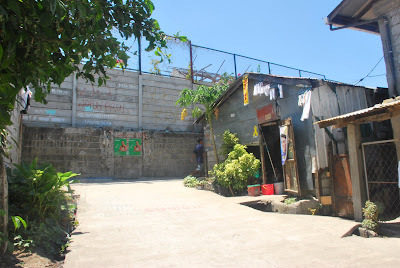 But a new title under the name of a certain Pedro Reyes had suddenly materialized, and Mr. V, along with a number of other tenants, had been thrown out of the land, and was forced to resettle in an informal settler section for the urban poor in Bayanan, Muntinlupa. In Barangay San Vicente (Sto. 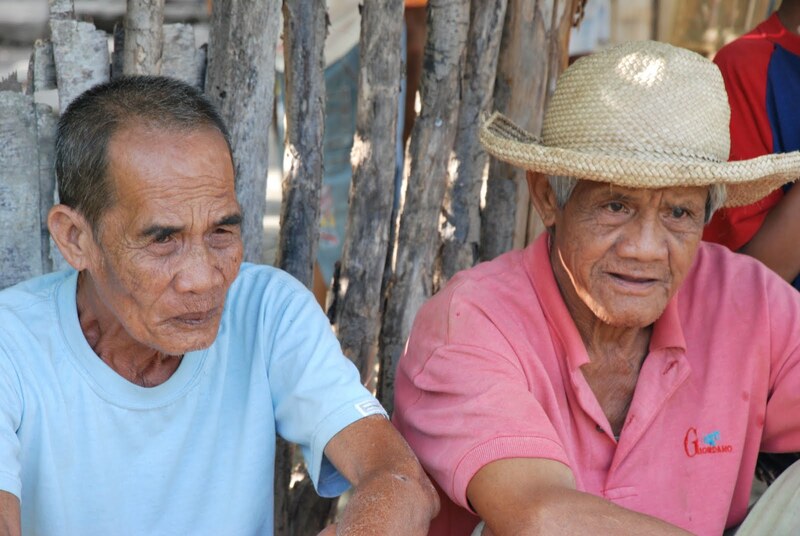 Thomas, Batangas), Domingo Manlocloc was a tenant living on 3 hectares of land, which his family had been tilling since the early 1900s. They have been in conflict with Benjamin Maloles, their landlord, since well before 1967 because he allegedly failed to give them their fair share of produce. 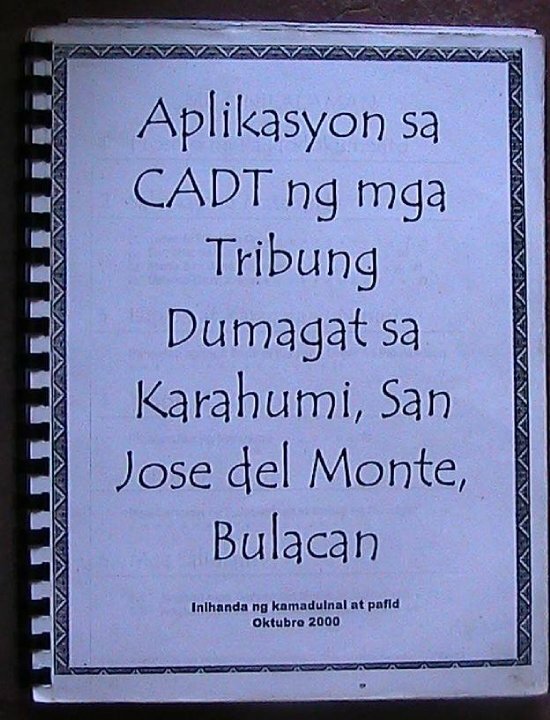 The regional trial court of Balayan finally confirmed the Manlocloc tenancy and a sharing system was established. But Manlocloc had difficulty selling his produce in the market for years because he claims that the landlord wanted access at unreasonably low prices. When he tried to transport the produce, he was blocked by policemen and accused of stealing. Strangely, the harassment suddenly stopped in 1997, and it was only in 2000 that Manlocloc discovered that Maloles had entered into an agreement with Camella Homes, which is also associated with Mr Villar. In 2005-2006, Wilhemina Tobias, a Camella representative, bought the neighboring properties at different prices (the better, it would appear, to divide the tenants). 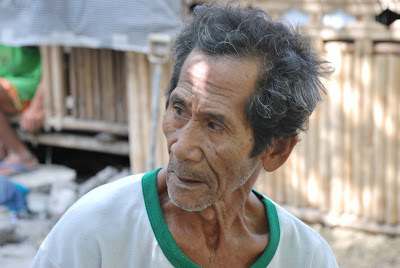 In 2007, Manlocloc's shanty was demolished, and he was no longer allowed to enter his own property. 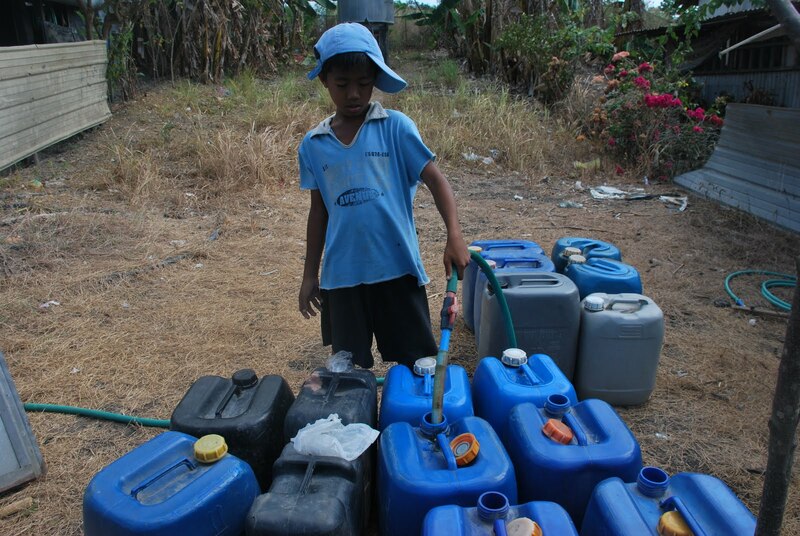 When he continued to resist, he was shot by an unidentified man on his way to the farm. And then there is the curious case of Purok 14 in South Daang Hari in Taguig, where several subdivisions (Presidio, Brittany and Marina) are allegedly owned by Mr. Villar. The property was mortgaged to Capitol Bank by an Aida Posadas, and the title fell under the jurisdiction of Muntinlupa. 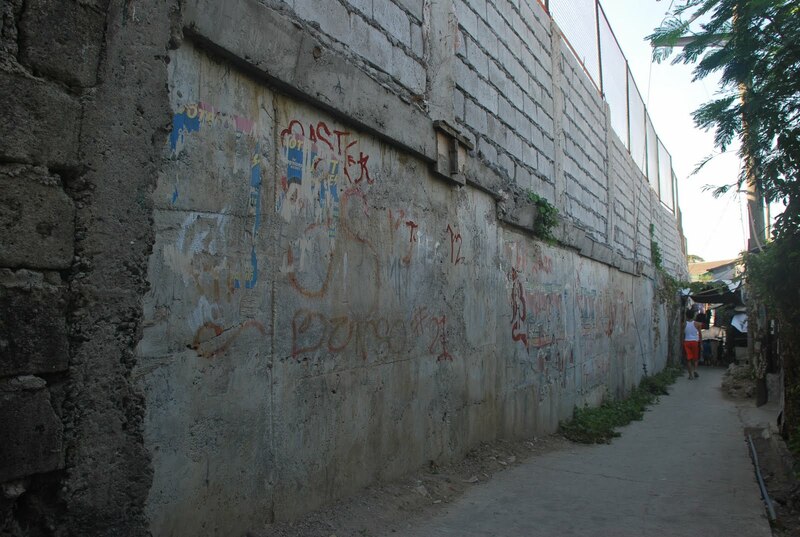 Purok 14, on the other hand, belongs to Taguig, and the two areas are separated by a towering wall. 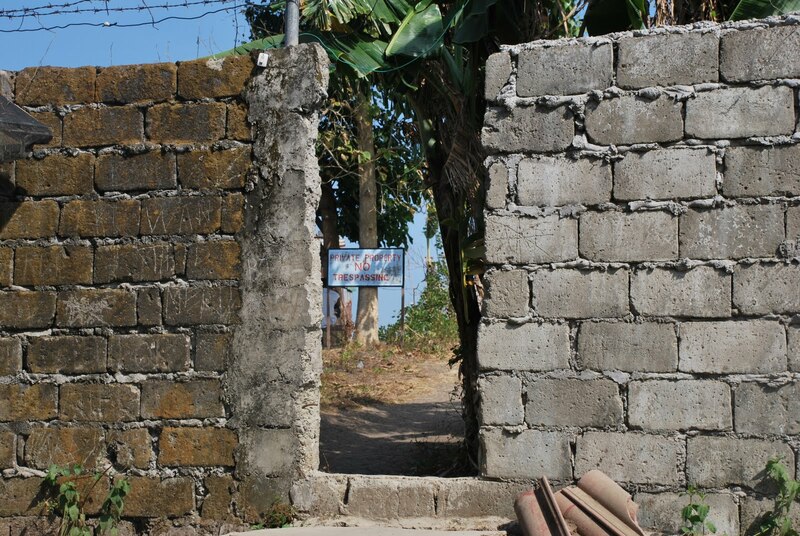 But while it is not difficult to distinguish between the two sides, it appears that Purok 14 has now become a zone of contention, with mayors from both cities preferring not to get involved. 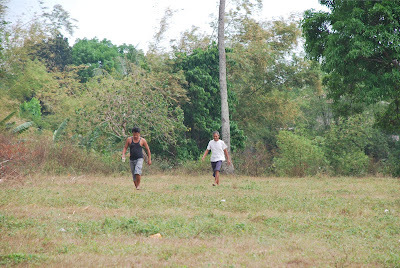 The area is said to have no existing title, let alone owner, based on a cadastral map provided by the DENR, which means that the people living there can eventually apply for ownership of the land. Regrettably, around 100 families have already been forced to vacate the land. In an effort to protect the remaining portion of Purok 14, a brigada was set up against the guards, who were allegedly forcing their way into the area. Over a hundred homes were demolished, after which the police informed the residents that there was no point in resisting since they were already in possession of new titles. 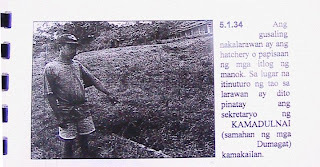 Joseta Suganob claims that Villar occupied a portion of Purok 14, and that the encroached portion is approximately one hectare. She further confirms that two residents (Isidro Barcelona and Leonardo Elorde) had already been shot and killed by guards in 1994. There is already talk of a demolition after the elections. Crown Asia has apparently already sent a letter to the Barangay Captain stating its intent to develop the area, attached to which is a copy of a title. So what is the point of these discrete vignettes I have gone to such lengths to document in scrupulous detail? Can it be said that there is an overarching framework that is both identifiable and premeditated? How does this relate to Villar's largest project to date, the C5 road extension? What is to happen to the 30,000 or so families that have been displaced by this massive DPWH project? Considering the increased market value of the Villar properties along C5, and the high payments for right of way that have already been paid out, why did the negotiations with the residents take over a year with so little apparent resolution? The crux of the matter, in fact, appears to have been a reluctance to pay dislocation or replacement costs to residents who were effectively being displaced and asked to relocate altogether. When the negotiations began to break down, the police were sent with notices "encouraging" the residents to leave. So the more pertinent question becomes: is the C5 case an "anomaly" or is it, in fact, a trend? Indeed, perhaps the single most objectionable aspect of the Villar empire is the fact that so much of it is ultimately at the expense of the poor. The rhetoric of "galing sa mahirap" notwithstanding (although that, too, has become questionable), one might have countenanced his modus operandi had he merely stolen from the rich. But stripping marginalized groups of their most basic human rights -- the right to habitation and the right to live lives of dignity free of harassment and intimidation -- is unconscionable, whether they happen to be poor landowners, agricultural tenants, indigenous groups or farmers. As fake titles and illegal conversions are obtained, artificial walls erected, natural water flows and roads blocked, private security guards deployed to keep restive tenants in check, public funds used for private gain, and government officials bribed to tow the seamless "public-private partnership" Mr Villar appears to have elevated to a science, what is to become of the rule of law in our country? What, more importantly, is to become of the rights of the poor? Why not simply buy their land at fair market value and be done with it, one has to ask? Why, indeed, profit from their obvious powerlessness? Who will defend them when mayors, barangay captains, police officials, lawmakers and even ombudsmen -- our entire socio-legal continuum, in short -- all appear to have turned a blind eye to repeated harassment, land-grabbing, illegal land conversion and even murder? Even more galling is the realization that these stories -- and the deeply humiliating situations these extraordinary human beings continue to encounter on a daily basis -- ultimately remain invisible to most because these victims have committed the one crime our class-conscious society can almost never forgive: they were born poor. Which is why Pol's deepest aspirations, Trining's quiet despair and the terrible sense of asphyxiation that unites all of Paradise Park within its implacable walls rarely bear much telling. But these are not, after all, ordinary stories of human poverty. They depict, instead, a reality where injustice has become normalized, and violence towards the poor, sliding imperviously, fits into the natural grooves of our entire social system. We appear to have lost, indeed, our sense of outrage. Perhaps if we were to remember that the poor are not trash on the street to be ignored and forgotten but human beings to whom we are all socially responsible in the end, we might find ourselves capable of resisting the economic and social injustices all around us. Perhaps we might even be impelled to safeguard our legal institutions from the types of impunity we observe every day. Because, just as we can afford to turn that blind eye, we also have the option of opening them wide -- however painful that might be for one brief instant -- and finally begin to see. That moment of sorrow might even be matched by a deeper sense of exhilaration: perhaps, once we no longer take "reality" for granted, we can begin to think in terms of social justice at last, and the mind can finally set us free. A private note: this was a very difficult section to write, much harder, in many ways, than the first part, for several reasons. To begin with, the network of confidentiality was such that there was difficulty in accessing the most basic information about these subjects throughout. Preserving their anonymity for their own protection (as well as that of the sources/informants on the ground who were in touch with them), on the one hand, and wanting to tell enough of their story to the rest of the world, on the other, was a delicate balance to negotiate. The need to preserve this anonymity also had to be balanced with the need to vet the quality of the data itself at every step. Files and data were very difficult to track down also because there were no centralized sources of information. Above all, some of the narratives I had to read and listen to were ultimately somewhat harrowing. Luna in particular deserves a heart-felt thank you for having introduced me to some of these characters, for many of the photographs and for giving me enough detail so I could actually write about them. Not once did I encounter any hesitation, excuses or resistance (although there was quite a bit of sleepiness at the end :D); all I ever saw was a willingness to work as hard as I did, and then some. It is people like her (and M), who work in the field every day and clearly care about the people and issues the rest of us can only ever intellectualize about that I have the highest respect for. For Luna, this was clearly not a job or assignment but a calling to defend human beings whose welfare and future she cared about very deeply. To me, you will always be, my friend, one of this nation's unsung heroes. It was the same kind of sorry site that made me take up arms against the government years ago in my younger years...I wouldn't hesitate to do the same thing again if this demon will become our president! God bless Trining and her family. And may Pol’s death no longer go unnoticed and may justice be found for him, his family and hundreds more victims of this repelling selfishness. To think that a man, who has a strong chance of being the next President, is involved in this land grabbing, people aggrieving, hope and life sucking callousness is not only deplorable but very daunting. This type of evil activity may not be unique to Villar and his camp but this should be a damning expose' to not only bar him from running for Presidency, but also go after him and his cronies for all these wrong (just plain wrong)activities. Is there a detector test for "evilness"? Thank you, Lila, for this investigation. And thank you to those who've assisted you in making this possible. May God keep all of you out of harm's way. the real life situations in this article jump straight out of the silver screen a filipino have seen many times over. if this can be successfully brought to the consciousness of class c and d voters, easily villar will be identified as the typical corrupt and cruel landlord portrayed by eddie garcia. like how such a movie plot usually ends, it will be the death of villar's political life. For months now, on the Internet & especially on facebook, we’ve been bombarded by all manner of ads singing the virtues of Sen. Villar and (paid by the same campaign) copies of any news article that was critical of Noynoy. Where have all those ads gone? The New York Times article (you know the one) was a regular over in the left-hand corner of every facebook page. Even You Tube wasn’t spared. Good for Villar those ads are gone now; I don’t deny that there are problems and unresolved issues at Luisita, but even in the captured Times photo of the farmworker with his great load of sugarcane, the farmworkers were not only robust looking, they were actually engaged in serious agriculture. It’s too bad those ads aren’t there to compare with the pictures of Manny’s victims. Far from being robust, they are uniformly emaciated, and they have no crops to carry about because their land has been rendered useless by various plots and schemes to force them from their homes and properties. The Cojuanco family has unquestionably done less than they could have done to honor the word and spirit of land reform, but Villar, claiming to bring escape from poverty to the masses out of his deep fellow-feeling for the poor, has clearly been saying one thing and doing another. Why would we expect him to do differently once he gained presidential powers? We have just seen nine years of that kind of attitude toward people—that they should be manipulated and used and thrust out of the way once the chance to make some real money presents itself. The nation’s voters surely do not wish to see six more years of the same. "ouch" would be so very much an understatement lil. but thank you, my dear, for this "humanized" stories which, otherwise, most of the filipinos who don't know any better, would find hard to believe, much more accept. i'm so very happy that you are using this gift of yours to this use, among others. In our helpless moments, when we ourselves are victims, all we have are prayers. But right now we can both pray and not be helpless. We can exercise our right NOT TO VOTE for people like Villar. You continue to enable us to exercise that right, Lila. People will know these stories. sana mapublish tong story na to sa more widely read publications para maging aware ang mga tao bago pa man sila mag desisyon kung sino ang iboboto nila sa election. you have a credible account and very well written. congratulations! Thank you... My instincts were right all along-- Villar is NOT to be trusted! Thank you Lila for the courage to, not only write, but to go through the details of ensuring the facts are straight. It suddens me that the plight of the disadvantaged groups are further buried down the myre. It angers me that the one who projects himself as the one who will end poverty in the country and claims to have come from the ranks of the poor, is responsible and accountable for the hardships of the sector he purports to help alleviate. Nonetheless, your articles give the hope. It provides a glimmer of light; let the shining moment come! Let the one responsible lost his billions in advertisements; but let him be lost in the oblivion he deserves. What if Mr. Villar becomes president of this country? The result would be more landgrabbings, more killings and more sufferings for our poor and helpless countrymen. PLEASE DO NOT VOTE FOR VILLAR AND HIS COHORTS IN THE NACIONALISTA PARTY!!!! FOR OUR COUNTRY'S SAKE! coming home after 20 yrs in Europe, I was bombarded with offers of properties of Villar. I never heard of this developer when I lived in Manila before, and today he is in the ranks of Ayalas? How on earth did he do that w/o resorting to evil tactics? My instincts told me that this was not real sipag and tiyaga, and thank you for documenting it. This should be published in the masa journals and translated into the dialects, and tagalog. Ipaalam natin sa lahat! Bigyan ng katarungan ang mga pinagsamantalahan ng pagnanakaw sa mahihirap. masyado namang extreme ang pagportray kay villar. kung ganoon siya kasama ay sana ay mayroon na sanang nagbanta sa kanyang buhay. akoy naniniwala na kung siya ay manaalo ay gaganda ang pinas kaya mga kabayan iboto natin si villar. tama na ang mga lumang pangalan sa politico kailangan ay bago naman. at kung hindi rin maganda ay palitan ulit. BONG SAID: BATTLE CRY NI VILLAR - TAPUSIN ANG KAHIRAPAN, yes indeed he will do everything to win in order to end poverty and how? tapusin, alisin, pagsamantalahan, lapastanganin at patayin ang mga mahihirap para wala ng mahirap. My God,is this the kind of President we are going to elect? Tama ka Big Daddy Richard, sama ako sa iyo pag binigyan ulit ng pagkakataon. Nice research and story telling. However, marami akong nabasa na "allegedly... belongig to Villar" and the like. Mahirap to paniwalaan lalu na walang documents to back it up. If these were all true, kung lahat nga yan ay dahil kay Villar, ang tanong ko sa inyo, BAKIT ITO NANGYARI? Paano niya nagawang agawin ang mga lupa na iyon? Has your article been published in the major media in and outside the Philippines? If not, why not? The media scared to get involved in the "nation of sheep"? I truly admire your passion, and for the extra mile you have taken, for the people who deserves it most, the Poor. But strong at heart. To expose such treacherous act, against our own communities. I am appalled of such a man, can viciously take advantage of what is not rightfully his, from the beginning. 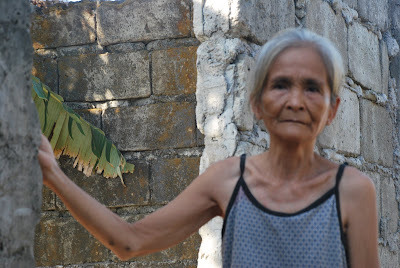 Kasaganaan ng salamat Lila, for spending your time, it is also our pain, and you have shown them, that there is HOPE. And what about the other candidates? Gibo who looks so clean he wouldn't rub elbows with the masses or see him visit a Ghetto for sure. I bet this guy don't know how to eat using his hands. What about Noynoy? this hippie needs to be his own man, a slacker and a weirdo that don't deserve our vote. It is still Villar for me. Wala siyang inagaw na lupa. at walang pekeng mga titulo. tulad ng sinasabi ng mga iba diyan. dahil kung peke ang mga yun, ehdi hindi lulusot sa bangko sentral. TANGA BA ANG BANGKO SENTRAL PARA TUMANGGAP NG PEKENG DOKUMENTO??????? ice work Lila. I'm glad the truth is finally out. For awhile, I thought that that these stories will never see the light of day. I', be waiting for part 3. Keep up the good work! Who is your candidate? What can you say about the good things that Villar has done for our country? Are you one of those people who cannot admit that between Noynoy, Gibo, and Villar, wala parin na contribute na maganda si Villar, when he clearly has done a lot for our country? Hope you would respond. @Mayumi. How can you justify Villar's wealth? When he became congressman in 1980 his networth was P72 Million; now as senator in 2010 his networth is P1.+Billion. The whole time he was/is in government his MONEY grew. How can a PUBLIC SERVANT earn so much money while in government service if not thru dirty wheeling and dealing. Do you really still think the documents you are referring to are genuine? real? Your passion for seeking and finding the truth is so palpable, one cannot help but admire and commend such a serious research work exposing glaring facts about Villar's lamentable acquisitions. As a citizen, I can only feel utter dismay. Let me share your post with my co-members in our small group, the Women in Literary Arts - Cebu, Inc. Thank you for your noble work. More power, co-Piscean. Its not as if we never gave this gentleman the chance. What "good" things are we talking about here? You don't steal from the poor to give to the rich. You don't step on the very basic human right of a person for personal or corporate gains. Whatever "good" this gentleman did, I'd like those who think he's a do-gooder to prove how good he's been and if there were no "casualties of war" in the process. No candidate is perfect but in saying that, I'm not voting for inhumane unfeeling monsters either who inspire disgust and bring out more questions than answers, whose dealings are as murky as the sea of garbage he swims in. Lila, great work! Putting a face on this issue brings us closer to reality than just reading about it on the news. Get some empathy people. What if this was done to YOU, your family, your relatives? Would you still vote for him? Just because you're not directly affected does not mean it won't affect you. What affects one, will affect the other in time. Remember that. If you want the Republic of the Philippines to be changed to Republic of Villar (or Manny Villar or MV or Crown Asia or Vista Land) then by all means vote for the guy. If not, then at least you would know who not to vote for. Do people actually believe in altruism nowadays costing BILLIONS of pesos? How can a candidate spending his/her own money in the Billions in a desperate (and dare i say ambitious) attempt to win over the presidency not recoup his/her investment especially is the candidate is a shrewd, cunning, and computing businessman. People may be good but at least here in Philippines, no one is that good. The story here, true or not, really does not matter much to Villar. He can simply deny it and shrug it off as either black propaganda or an act of desperation by the other candidates (personally, I am inclined to opine otherwise but that is my opinion; money is a strong motivation). What matters is simply this, if an individual is sooo desperate to win the presidency at the cost of his own fortune (billions mind you), don't you think that, at the very least, he will have to recoup his investment if not profit from it? And what is sad is that the grassroots (majority of the voters) are being blinded by the image of MV as a pro-poor candidate having lived in tondo and all (swam in a sea of garbage...). Without ready access to information, stories, analysis, they vote blindly based on their emotions, campaign activities, and media's constant bombardment of these political (catchy i might say) ads. Think about this before you vote. I read one article by Lila Shahani on why she is choosing Noynoy. Very long one. I told my wife. Too wordy this article. Not this time. 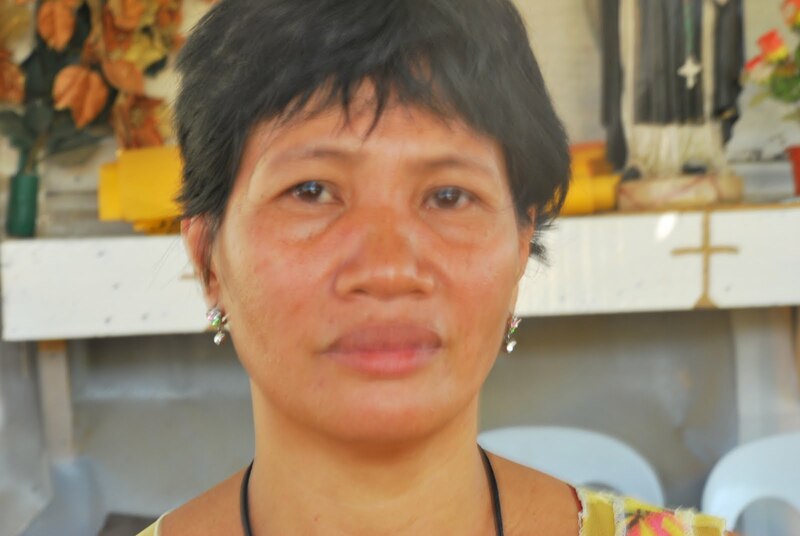 Ms. Shahani has redeemed her name to me by documenting the landgrabbing and killings of the defenseless. Much more evil than I thought he was, he is a murderer. So which will Pinoys believe, the ads or this report? Yes, too sad the truth is only starting to be exposed. And will never reach those who think Villar is a good candidate. People Power behind Noynoy will overcome this evil Satan! Ms. Lali, can you suggest a short digested version for PDI? But then the media cannot publish for fear of libel suits. How then to let our now fooled tv public know that this Villar deserved not to be president but resident - of Bilibid? Read This post on ¡SOY NEGRENSE! "Villar &Velarde: Holy Alliance Made in C-5"
It's a really sad state of affairs when a candidate can pass himself of as a man of the people who rose from poverty and whose statesmanlike goal is to protect the interests of the people he purports to serve but cannot, because he never has, nor does now, and never will, and, in fact, will predictably continue to deceive, if not himself, then the rest of his ever hopeful and ever desperate countrymen. 1.) Clucas, forensic scholars (Yale Genocide Studies; U of Chicago, etc) do have a test for "evilness" but that is more to document torture. I personally prefer not to "rate" people and things because I think we r better served if we remain specific about our subjects rather than making sweeping comparisons in general. 3.) Teresa, bakit sa tingin mo ay napakarami ng security ni Mr Villar? 4.) Michael, please read this piece carefully and click on the hyperlinks to see the documentation. 6.) Mayumi, kindly read my blog and the document u cited once again. U will notice that I DO NOT discuss C5 in this post, which is what your document refers to. Please also read Part 1 of this blog, which refers to Villar's assets and liabilities, and to "A Conversation with Noynoy," (the blog before this one) as it addresses what I think about the other candidates. Wow. Now u have really blown me away, Ms Shahani. I've always admired your intellect but now it is your heart that has touched me so deeply. Keep shining bright and God bless you always. 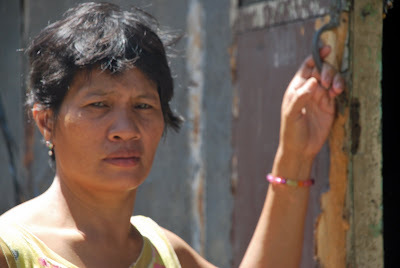 Thank you, Lila, for your immense moral courage and compassion in opening our eyes to the plight of the poor and the brutal, lawless rapacity of Villar and his henchmen. Here in the US, our corporate media keep us utterly blind to the horrific human consequences of this kind of collusion between greed, elitism, and political power. Dear Lila -- I'm reaching out as the editor of Maria Shriver's The Women's Conference website -- www.womensconference.org. We'd love to invite you to write a short blog post for us about your letter to your uncle/your concern for the Philippines. My email address is emma at californiawomen dot org. (c) 2009 Lila Shahani. All rights reserved.